A little piece of Judy Seaborn's back yard. 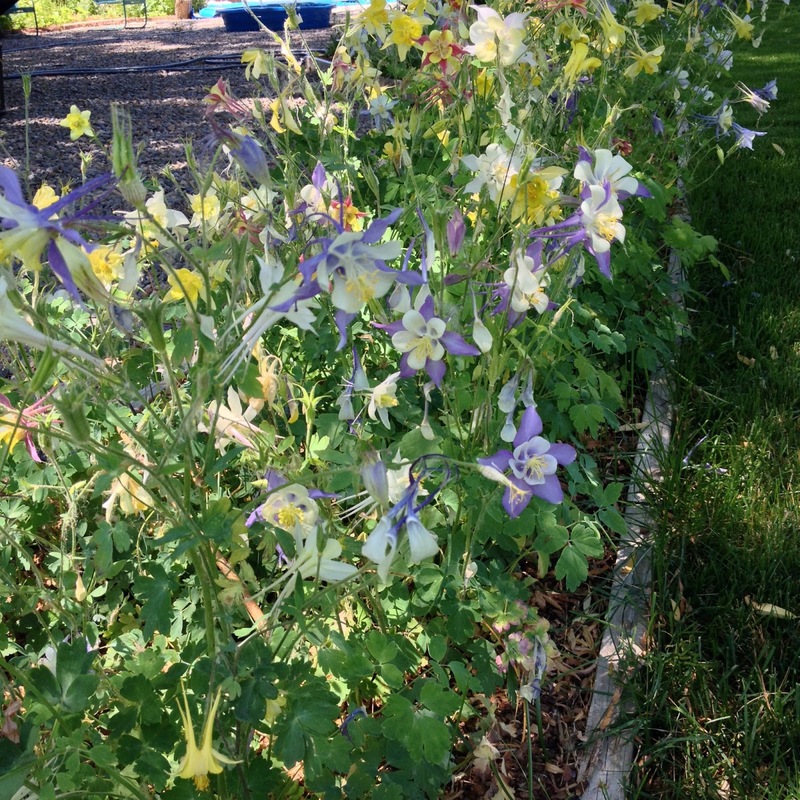 with some yellow columbines in the back. 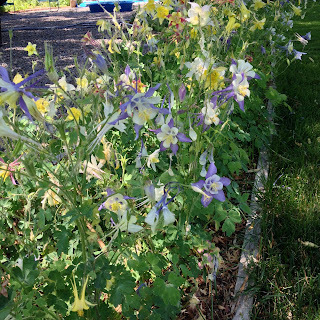 2019 Fling garden: Is this adorable? Extreme yard art. One of the first pieces you will see when you get to Denver! More info coming soon, so stay tuned! This is where many will stay, and it is the pick-up and drop-off point for the daily tour buses. 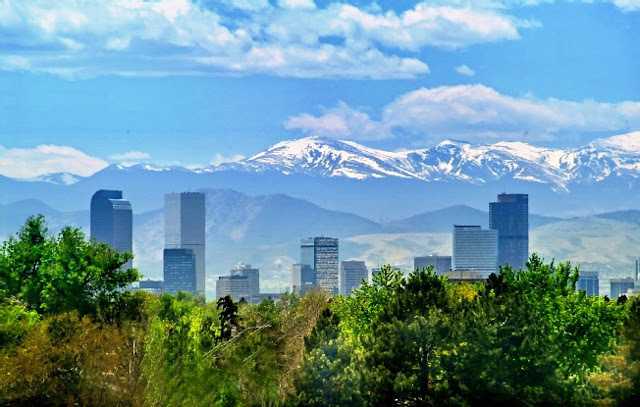 In the heart of downtown, it is surrounded by restaurants and shops, and is one block from the 16th Street Mall, a 1.25 mile long pedestrian mall with free shuttle buses that stop on every corner. Our reserved room rate is $219.00/night. At registration time, you will have access to a Fling-rate code to use in order to secure the special rate. Check the 2019 Fling page regularly for teasers! You've got questions? We've got answers! Austin Fling kicks off next Thursday, and as you put together your packing list we're here to answer your frequently asked questions plus offer a few tips you might not have thought to ask about. What is the first thing to do for the Fling? We encourage you to come pick up your swag bag and nametag in the hotel lobby (Courtyard Austin Downtown) on Thursday between 3 and 5 pm. The swag bags will contain the itinerary, so you'll have the daily schedule. Then from 5:15 to 5:30 pm, meet us in the lobby, and at 5:30 pm we'll walk together to the Welcome Party at Central Library. What if I arrive too late to get my swag bag? If you miss the swag-bag pickup at 3-5 pm on Thursday, you can get it after the Welcome Party ends by picking it up from organizer Pam Penick from 8:30-9 pm Thursday evening. Text her to let her know you'd like to pick it up -- and please provide your name so she knows who's texting. Her phone number will be provided in an email sent to all registered attendees later today. Please save that email for your reference. I'm arriving on Thursday after the Welcome Party begins. Is it OK to come late? Yes! Come anytime between 6 and 8 pm. We'll be at the Central Public Library in the Special Event Center on the 1st Floor. Parking at the library is limited, so we recommend a ride-share, cab, or pedicab. Info about public transportation is here, under Getting Around Downtown. I won't arrive until Friday. How do I get my itinerary/nametag/swag bag? And what time do I catch the bus? Check your email later today to see if you're signed up for Friday's early bus for the photography workshop (this was a limited-seat sign-up option when you registered) or if you're on the later bus. The early bus departs at 7:30 am on Friday (boards at 7:20 am). The later bus departs at 8:30 am (boards at 8:20 am). Pam will bring the unclaimed bags/nametags to the lobby from 7 to 8 am, so find her then. I will be commuting to the hotel. Where and what time do I meet the tour bus? Boarding begins 10-15 minutes before departure. I want to do the photography workshop on Friday. Can I? We're sending an email with the names of bloggers who signed up for the workshop. If you're not on it (spots are limited), we're sorry, but we can't add you. Don't worry though -- you'll see the Wildflower Center gardens too. The second bus will just arrive a little later. When is the group photo? I don't want to miss it! 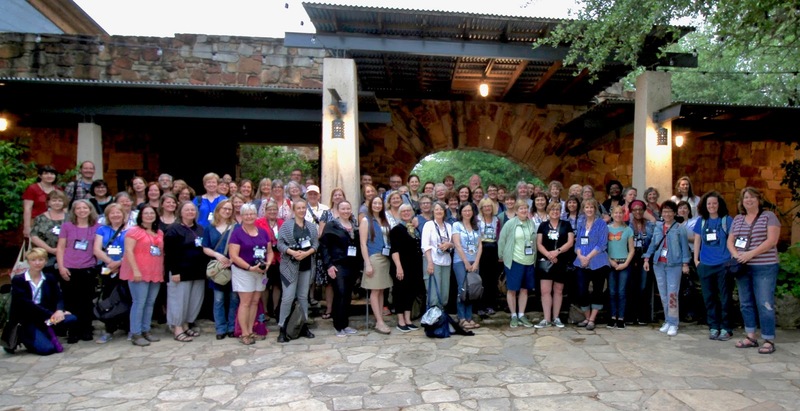 We'll be taking our group photo on Friday morning at 9:10 am at the Wildflower Center. The photo workshop ends at 9 am, and the 2nd bus will be arriving around then, so we'll all meet in the main courtyard of the garden (between the gift shop and the tower) and take our group shot before we explore the gardens. Do we have a hashtag? #gbfling2018. We encourage you to use it for your Facebook, Instagram, and Twitter posts about the Fling. Do you want my blog links about Austin Fling? Definitely! Please share your Fling-related blog links on our Facebook group or email them to us at our Fling email address. We will compile all the Austin Fling posts and publish them on our blog after the Fling. How far is the airport from our hotel? 10.5 miles. Please read our Getting to Austin post for more info about the airport and getting to the hotel. How much time should I allow for picking up checked baggage when planning for Super Shuttle pick-up time? We guesstimate it takes about 20 minutes from deplaning to getting your bag. Plan on 30 minutes to be safe. Austin is a very casual city. 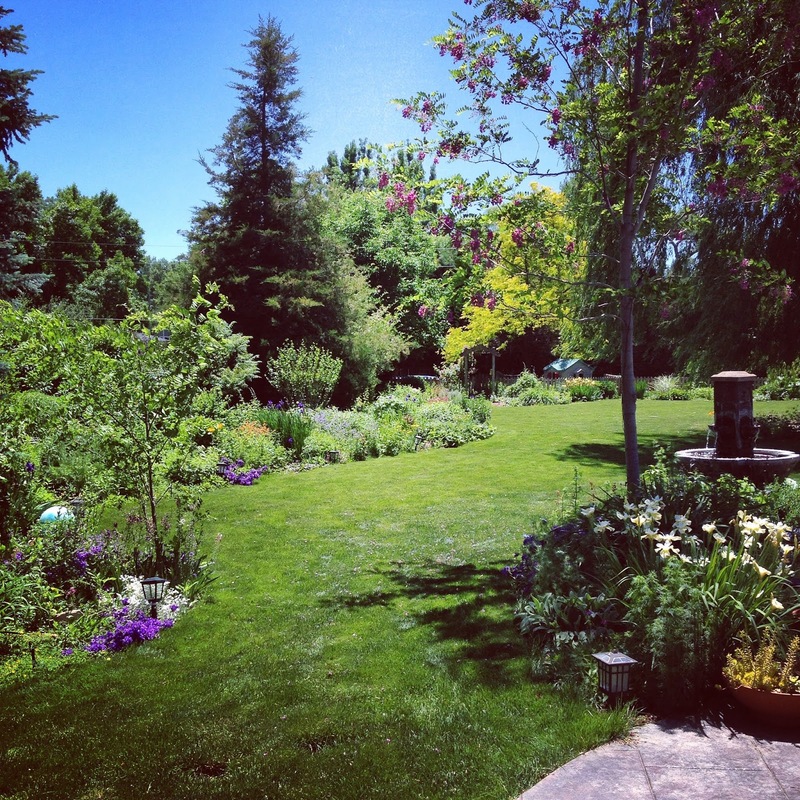 Bring comfortable shoes for walking and whatever style of clothes you like to visit gardens in. For downtown dining, casual is still the norm, but some restaurants are a little dressier than others (call to find out). Even at these, a blouse and capris/pants/skirt or casual dress will be fine. We do like our air conditioning in the South, so if you get cold with the A/C blowing on you, bring layers. Pretty nice, we hope! We're still a week away, so forecasts are subject to change, but it's looking like highs in the mid- to low 80s F (29.4 to 26.6 C), with a cool north breeze, and with surprisingly cool nighttime temps in the 50s and 60s F (13.3 to 19.4 C). There are chances of rain every day, so bring an umbrella or lightweight poncho, just in case. We tend to get brief rain showers rather than steady rain that lasts all day, so don't fret over rain chances. Cloudy skies will yield better light for photos anyway. How much suitcase space do I need for swag, raffle winnings, or other items? We recommend bringing an extra collapsible duffle in your suitcase. When you're packing to go home, you can put some of your clothes in the duffle to make room in your suitcase for the swag or raffle items. (Check in advance if you're allowed to bring an extra bag on the airplane.) Or, if you have time to find a shipping store, you can box up some items (or your clothes, if they're lighter) and ship them home. 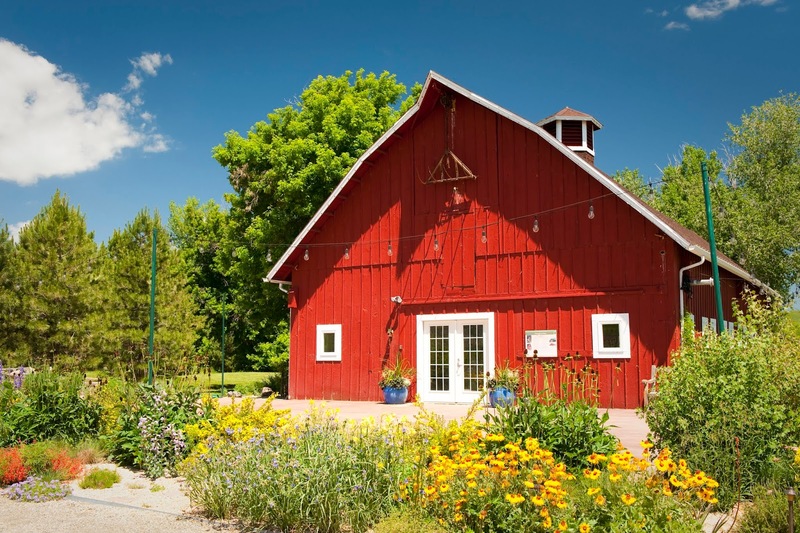 Will we have a chance to shop for plants? 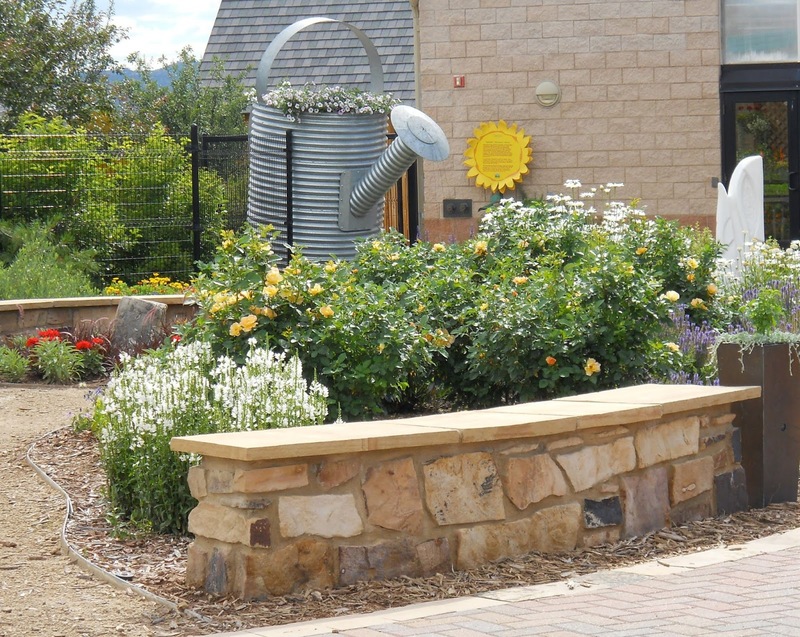 Yes, we'll be visiting two nurseries. If you like to buy plants when you travel, we suggest you pack a handful of Ziplock bags, newspaper and rubber bands, and plastic garbage bags for wrapping plants and packing them in your carry-on or suitcase. Read this post for more plant-packing tips. Sunscreen and a hat, for sure. A portable phone charger is smart. Our buses should have regular outlets, so you might want to bring an adapter along. Camera supplies: extra battery, battery charger, plenty of SD memory cards, etc. A roomy camera bag, backpack, or crossbody for carrying your camera, a water bottle, snacks (we'll have snacks on the bus), and any other essentials. Bug repellent if you're sensitive to mosquitoes, although we don't expect this to be an issue for most. We've had a couple questions about ticks. They are not as common here as in other parts of the country, and in the manicured gardens we'll be touring, they are unlikely to be encountered. Don't forget your old Fling souvenir buttons, if you've attended past Flings and want to show off your collection on your nametag wallet. 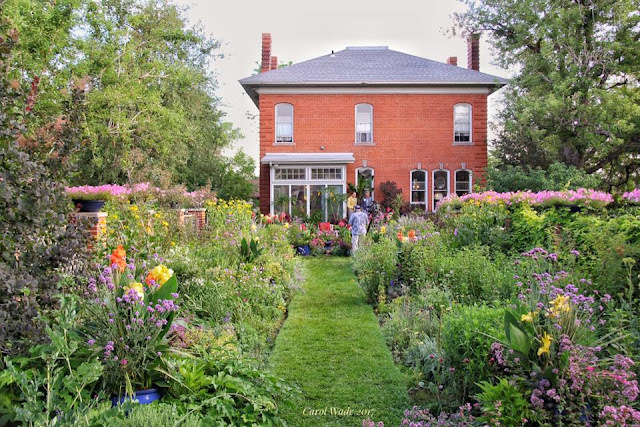 Also, this is a great opportunity to network with other garden writers, so bring business cards with your contact info, if you like. What are our breakfast options? There's a Starbucks located in the hotel, which opens at 6 am every day. Check our restaurant listing for other breakfast options within walking distance of the hotel. Do I need to make any dinner plans on my own? Yes, Friday night is dinner-on-your-own. We return to the hotel at 5:15 pm that day. Check our restaurant listing for dinner options within walking distance of the hotel. Feel free to post on our Facebook group if you're looking for dining partners; there will be others who don't have plans, so just ask! We'll have packaged snacks on the buses each day. Will there be toilets on the bus? Yes. There will also be restrooms available at the public gardens and nurseries and, for emergencies, a few of the private gardens. Are alcoholic beverages being served anywhere? Yes, we'll have a cash bar at the banquet dinner on Saturday and an open bar at the BBQ Bash on Sunday with two signature tequila cocktails and white wine available. I want to go batty! 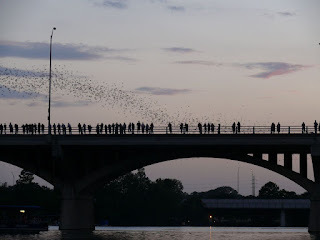 How can I see the famous bat colony in downtown Austin? By land, bridge, or water! Austin's urban bat colony lives in the cracks under the Congress Avenue Bridge. They emerge nightly to hunt for moths and other bugs, but some nights are better than others. If it's cool or rainy, they may hunker down and emerge late or sporadically. If it's warm and clear, they may emerge just before sunset in a crowd-pleasing swarm. 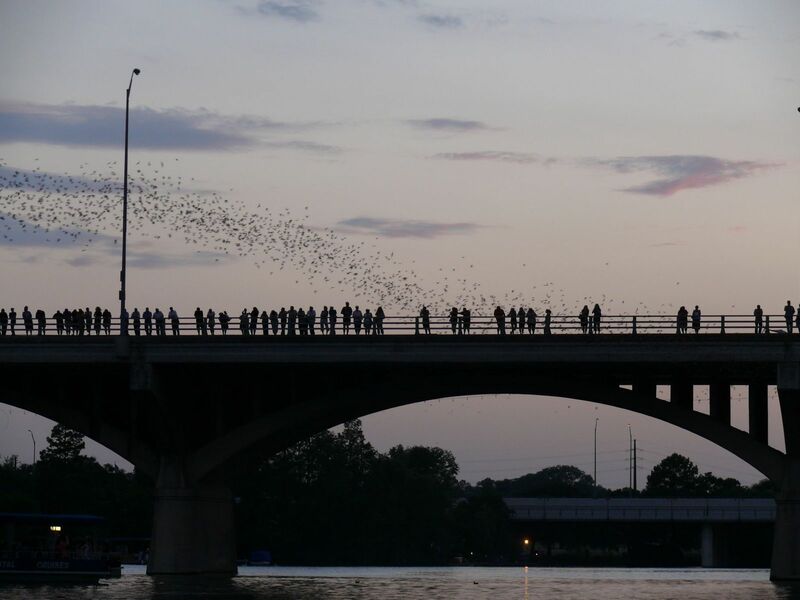 You can watch them from the west-side sidewalk on Congress Avenue Bridge, or on the Hike and Bike Trail below the bridge, or from a bat-watching cruise on Lady Bird Lake. Find more info here. What else have I forgotten to ask? We hope we've answered most of your questions already with our earlier post, Everything You Need to Know for Austin Fling. But if not, just email us and ask.